Heat oil in kadai, add cumin seeds, cloves, cardamom, black pepper, curry leaves, hing, tomato, mix well. Add ginger garlic paste, mix well cook till tomato soft. Add shredded palak, mix well. Add boiled toor dal, salt, turmeric powder, red chilly powder, kitchen king masala, cook for 4 to 5 minute. 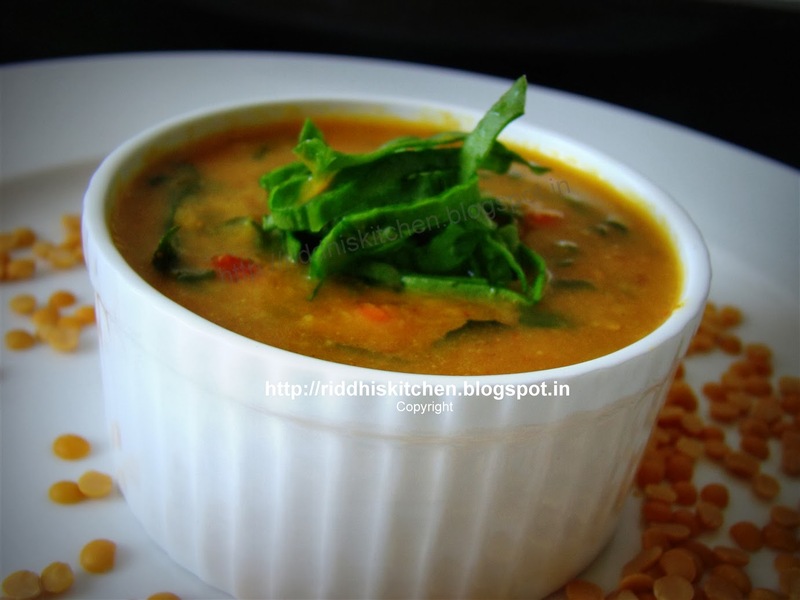 You can add water to adjust consistency of dal. Switch off the flame. Add lemon juice, mix well. Garnish with shredded palak and serve hot with tandoori roti or steam rice.